Have You Fallen Victim to an Accident in Royal Oak? Home » Have You Fallen Victim to an Accident in Royal Oak? Have you been a victim to an auto accident in Royal Oak? Are you an anxious mother caring for a child who has suffered a birth injury or have you lost a family member after receiving care from a negligent medical practitioner? Are you suffering from a disability and struggling through legal hoops to get the Social Security benefits you deserve? You should not have to suffer through any wrongful incident alone. If you live in Royal Oak, our team of experienced attorneys at Thurswell Law can provide you with the legal representation you deserve for any auto accident, birth injury, wrongful death, or Social Security disability case. At Thurswell Law, you’ll find a team of experienced and highly qualified attorneys in Royal Oak who want to help you gain justice and compensation for your suffering. We want to help take some of the weight off your shoulders. Throughout your case, we’ll support you every step of the way. When you call Thurswell Law, an attorney will answer your legal questions directly. Your case will not get passed to a paralegal or an assistant. We’ve been recognized by law organizations as one of the most successful teams of lawyers in Michigan. With more than 48 years of experience, our established law firm understands your needs and will provide you with personal attention. With us, you’ll have everything you need to get the best possible case results in Royal Oak. Are you or a loved one a victim of a wrongful incident? Have you received the compensation you deserve from the party responsible for harming you? 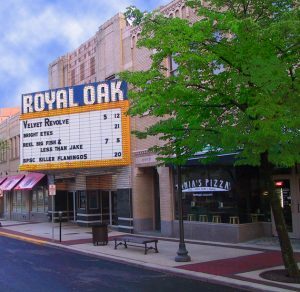 Do you live in the Royal Oak area? Contact us today, and we can get started on your case. We will set you up with a skilled lawyer to represent you in your case.